Death of a Freedom Fighter. 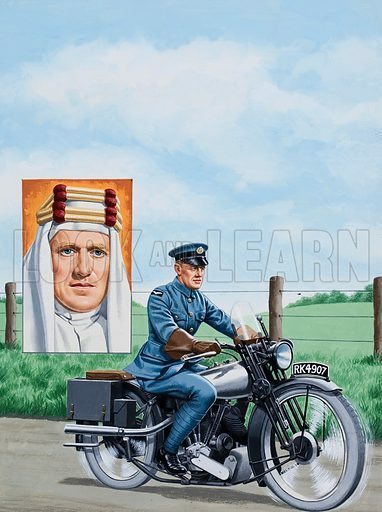 A motorcycle accident brought to an end the life of T.E.Lawrence, the Welshman whose courage and genius proved an inspiration to an oppressed Arab nation. Original artwork for the illustration on p2 of L&L issue no. 904 (19 May 1979). Available worldwide for immediate download up to 3,456 x 4,630 pixels.